Today, around 77% of people are constantly online or go online multiple times per day. Your customers are likely to have smartphones and likely to check their emails frequently. This means there’s a high chance of them seeing your email, but that isn’t really worth much if they aren’t opening your emails. If your emails are not being read or not getting providing results you’re looking for, there are a few things you can do. Try these tips to explode your sales by boosting your email marketing plan. Making emails personal is crucial. 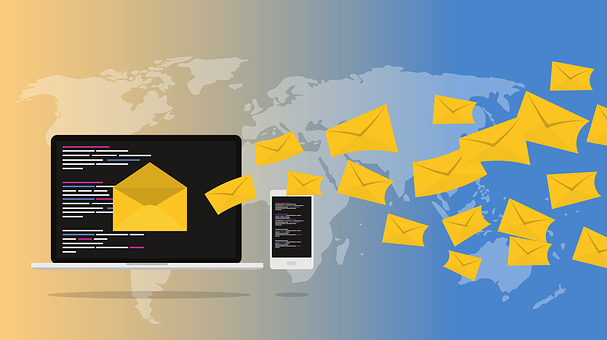 You will want to make your emails valuable for your customers and connect with them. Think about what you might talk to them about in person and what is important to them. They don’t want to be a part of an email campaign, they want to receive emails that are helpful and worth reading. Use a personal tone to make your emails more engaging and genuine, and make sure you look for ways to personalize your emails so they’re more likely to be read. If they take the time to open and read your email, they’re more likely to click through to your website or make a purchase from your business. You won’t know if your emails are effective or making a difference for your business if you’re not tracking them. Use tracking to find out when your email is opened, what gets more people to open your emails, and what consumers do after they open your emails. Tracking provides the feedback you need to adjust how you’re marketing through email. Knowing when the email is opened can help you time when you send the emails so they’re more likely to be seen and not skipped over. Knowing what encourages consumers to open your emails and knowing what they do after they open the email helps you fine-tune the content of your emails. This helps you create more emails your customers are going to want to read. Email automation allows you to send emails based on the behaviour of your customers. When they do something on your website or at certain times you’ve chosen, you can send them an email automatically. To get started with email automation, you can read more about SharpSpring and the email automation included. Email automation helps you send individual emails that can encourage them to act, persuade them to become repeat customers or boost your brand recognition. It works to send confirmation messages, alert your customers about something they will be interested in, or let them know they still have something in their shopping cart. This helps you send timely emails that your customers are more likely to open. Your customers are on their phones a lot, which means they have the ability to access your emails. This can mean more sales for you, but you need to make sure they are opening and reading your emails to see results. Use the tips here to help boost the chances they’ll open your emails, connect with your business, and make a purchase. With an email campaign that is personalized, is carefully tracked and adjusted, and that includes automated emails, you can see your sales explode.